Regardless of it being your first time or not, thinking about the interior design of your own bedroom can be an overwhelming task. It’s not something that you’ll just be able to fully conceptualize in a few hours. The never ending options of decorating your personal space can actually sometimes be the cause of your lack of sleep. That’s perfectly understandable, though you are decorating the first room you will see once you open your eyes in the morning, of course it has to be perfect. But since you’re having a hard picking a color scheme that would perfectly blend together in your room, why don’t you go down the simple route such as choosing a monochromatic tone? Monochromatic themed rooms may seem simple. But mind you, this trend is slowly rising in the interior designing world for a lot of reasons. The definition of a monochromatic room has changed throughout the years. It no longer means that the chairs will have to blend with the wall, or the floors and the ceiling would look the same. This century’s monochromatic look lives upon tweaking the classic look and incorporating new things without sacrificing its simplicity. Simple yet classy – Monochromatic rooms are known for this. Using one basic palette on your bedroom walls, floor, bed and decors can evoke simplicity and class. But just like what I said earlier, you can use contrasting shades of your primary color in order to play with things a little and not be branded as boring or old fashioned. It’s Elegant – Just because it’s simple, does not mean it can’t be elegant. 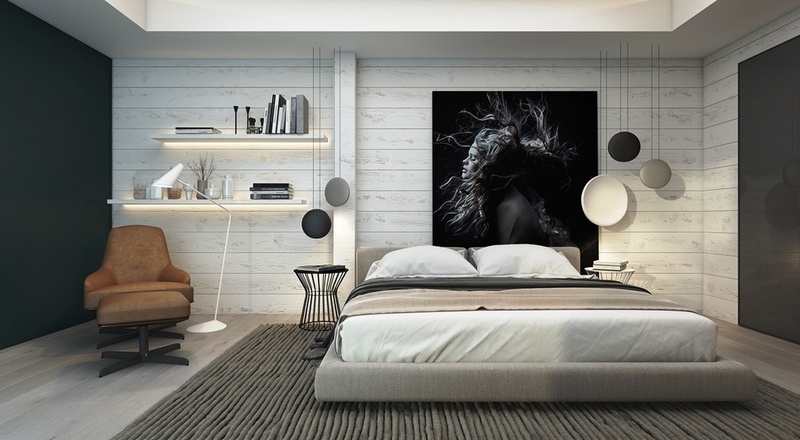 What’s great about an effective and well organized monochromatic room is that it has different shades and tints of the same color that you can tweak and work with. For example, the color black has already been an elegant and timeless color, but you can make it look even more stylish by adding gold touches onto it. It’s Like A Blank Canvas – A good monochromatic room can play with shades of the primary palette. But the best one can still look great even if there are different colors incorporated in it. Using Black on Gold or White on Black, and vice versa minor touches on decors or wallpapers and even on furniture can make the entire monochromatic room look even more design forward and elegant.